When you are looking to give a gift that will be special to the recipient and that will be personalized in order to be something that they will love, you can do that through the help of a gift certificate template. You will find that creating a gift certificate can be a great option when you want to give a unique gift. This gift certificate template word allows you to fill in all of the information that is relevant to the gift, including the amount that the gift certificate is good for and the name of the one receiving it. You want the gift certificate that you create to be something that catches the eye of the recipient, and you can make something that is really special through the help of this template. 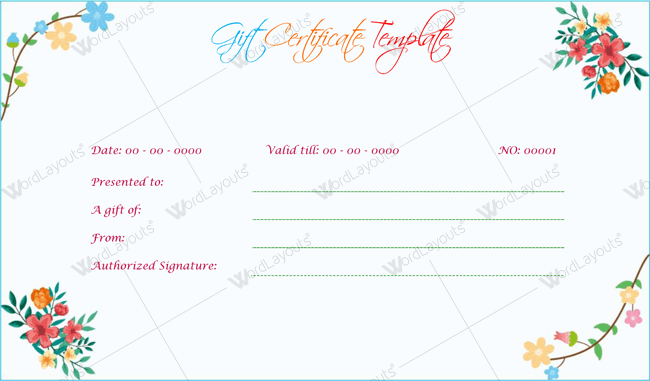 This template allows you to make a gift certificate that is professional and easy to understand, yet special and fun.